You are here: Home / Events / Design A Cake Competition! 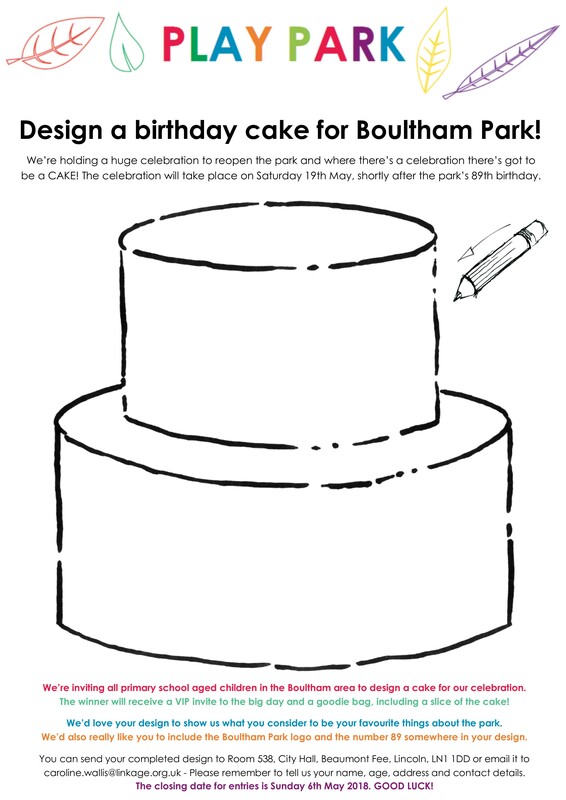 We need to you to help us design a cake for our Opening Celebration on Saturday 19th May. * features the number ’89’ and the Boultham Park logo. Boultham Community Hub and Library. To download the image: clicking on the image should bring it up in a new window, then right click on the image and select ‘save image as’, this should then provide you with the ability to save it onto your computer, ready to print. Opening Celebration The latest Boultham Park Beacon is here!